Vietnam had more than 27,500 valid FDI projects involving 130 countries and territories with a total committed capital of 340 billion USD as of December 31, 2018. FDI accounts for 20% of Vietnam’s GDP and 70% of its annual export revenue, contributing to the recent trade surplus. A horse-racing course and horse breeding center are two proposed projects being considered by Da Nang City for 2019, worth a total of $200 million. The reclassification would help Vietnam’s stock market become more attractive in the eyes of new investors, facilitating a new wave of capital into the country. North Korean leader Kim Jong Un’s journey to Vietnam for his second summit with U.S. President Trump may take much longer than others. 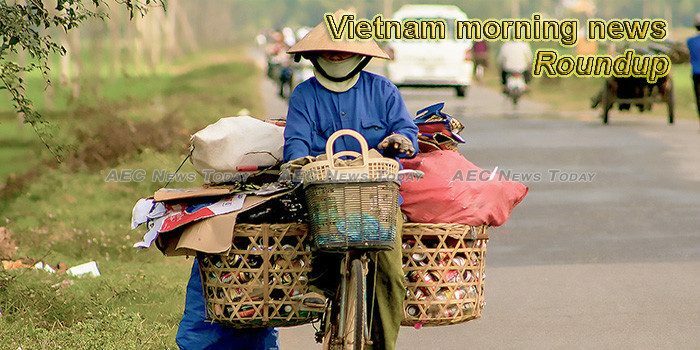 Eight large-cap stocks may be included in the Financial Times Stock Exchange (FTSE) Emerging Markets Index if Việt Nam gets upgraded from a frontier to an emerging market in 2020, according to Bảo Việt Securities Company (BVSC). The amendments to enterprise and investment laws should be aimed at promoting the development of the private sector, a conference held in Hà Nội was told on Wednesday. The Mekong Delta province of Tien Giang aims to ship 300 tonnes of star apples to the United States until the end of the 2018-2019 crop, raising the shipment of the fruit to 400 tonnes, or three times compared to the previous year. The HCM City People’s Committee will offer more support such as workforce training and financial assistance to companies that make key industrial products. The Hoa Phat Steel Pipe Company Limited has announced the first order to export around 1,000 tonnes of galvanised steel pipe worth 600,000 USD to India. Chairman of the HCM City People’s Committee Nguyen Thanh Phong received visiting deputy head of the Anti-Corruption Department of the Russian President Alexander Anikin in the city on February 20. Vietnam’s so-called “coffee king” wants 70 percent of the 30 percent stake he jointly owns with his estranged wife in Trung Nguyen Group. VinFast, Vietnam’s first indigenous car manufacturer, plans to test its first vehicle for safety parameters in Europe on March 6. Thai financial firm Srisawad Corporation is looking to acquire the Finance Leasing Company I (ALC I) of the Vietnam Bank for Agriculture and Rural Development (Agribank) at an estimated cost of VNĐ523 billion (US$22.45 million). Chairman of the Việt Nam Chamber of Commerce and Industry (VCCI) Vũ Tiến Lộc talks with Vietnam News Agency about potential policies to deal with the reality that Vietnamese products face fierce competition from imported ones, in part due to the impacts of free trade agreements and the increasing diversification of modern foreign distribution channels into the domestic market. Deputy Prime Minister and Foreign Minister Pham Binh Minh has affirmed that Vietnam always treasures its strategic partnership with Germany – a leading partner of Vietnam in Europe. While a battle rages over whether the VA should provide benefits to Blue Water Navy vets who served off the coast of Vietnam and were effected by Agent Orange, another fight over the effects of the chemical exfoliant is centered on the U.S. territory of Guam. The exposure to service members stationed on the tiny Pacific island, which is home to large Navy and Air Force installations, is a growing concern to some veterans groups. The Lenovo Group from China has expressed its desire to develop a computer component manufacturing factory in the northern province of Bac Giang during a recent meeting with local authorities.